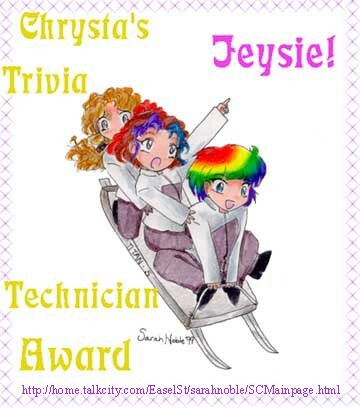 I got this awesome award for getting 29 out of 31 questions right on Lady Amy's quiz on Sarah's website. I am the woman! Go me, go me, go... ...um, heh, *ahem*.